Update, March 30: The new PUBG event mode is live, dropping flare guns so you can call in your own care packages. It’s raining supply drops in the second event mode for PlayerUnknown’s Battlegrounds. The event is already underway, adding the flare gun and allowing players who collect it to call in supply drops wherever you are. This event lasts until April 1 at 19:00 PDT / 23:00 EDT or April 2 at 2:00 GMT. Fortnite vs PUBG – which is better? You’ll find a “limited number” of flare guns in single-story houses on the map. 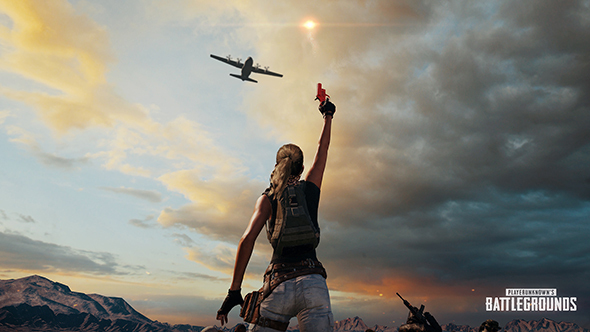 This event mode is limited to third-person perspective on Miramar, and supports squads up to four players. PUBG Corp specify that the new item is only available in the event mode “at this time,” implying it’ll eventually hit the regular game as well, though perhaps in more limited numbers. After the event concludes, it’ll just about be time to start testing the third PUBG map, Codename: Savage. Original story, March 22:Event Mode is coming to PlayerUnknown’s Battlegrounds. Anannouncement on Steamconfirmed that the limited time modes are coming soon. The announcement describes Event Mode as a “periodically changing preset Custom Game where [PUBG Corp] will be trying new things and experimenting with different game parameters.” The first of those involves increasing Squad size to eight players instead of four, and doubling rifle spawn rate. The first iteration of Event Mode will only be available in Third-Person Perspective, and only on Erangel. It’ll be an unranked mode (unsurprisingly, but PUBG Corp say you will still earn BP from your games. Event Mode will be available for everyone who owns the game, and can be accessed from the main menu. It’s currently live on the Test Server, with plans to move it to live soon.